Should I Repair My Fence? Read on to know when you should repair your fence. 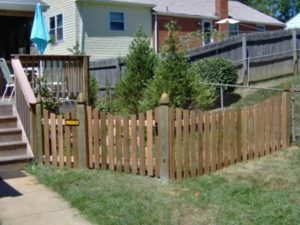 If you’re stuck with the dilemma of repairing versus replacing a fence you may find yourself feeling very torn. Repairs may help fix short-term issues, but over time, repairing your fence over and over again may add up. On the other hand, most fencing should have a significant lifespan, and often only a few repairs will be needed if you’ve been performing basic maintenance. As you way your options, there are a few things you may want to consider. While wood fences are often very long lasting, they also need significant care to maintain. If you or the previous homeowner was neglectful, you might have a damaged fence that is beyond repair on your hands. Start by performing a thorough check of your fence, look for areas where the wood is rotted or warped. If there are small areas of damage, the individual sections may be replaced. However, if there is significant rot, pest damage, or warping, it may be best to use a full replacement. Wile vinyl is often a low maintenance material, it has its drawbacks. Namely, vinyl is subject to cracks and breaks. Fallen trees, windblown items, and heavy snows can all cause cracks depending on the situation. If you have a crack, the only option is to replace the affected area. With that in mind, a full replacement would be unlikely unless you were unhappy with the appearance and style of the entire fence. Like vinyl, aluminum is relatively low maintenance fencing option that will likely not need many repairs. If there are any breaks or dents, you may be able just to replace small sections rather than the entire fence. If you have loose rails, a simple T-brace can be used. This entry was posted on Friday, October 12th, 2018 at 11:46 am. Both comments and pings are currently closed.